An Uber event in Cairo. Ride hailing service Uber and competitor Careem will not be banned in Egypt after a court overturned a judicial decision to pull the companies’ licenses, allowing both companies to continue operations there for the time being. Forty-two Egyptian taxi drivers filed a lawsuit in the administrative court a year ago against U.S.-based Uber and its Dubai-based competitor Careem, arguing they were illegally using private cars as taxis. They also claimed that the two firms were registered as a call center and an internet company, respectively. In March, the administrative court ordered the government to suspend the licenses of the two companies. But on Saturday, Reuters reported, the Cairo Court of Urgent Matters heard an appeal from the companies and ordered that they be allowed to stay in business until a final ruling from the Highest Administrative Court. Neither Uber or Careem ever actually shut down in accordance with the original order. 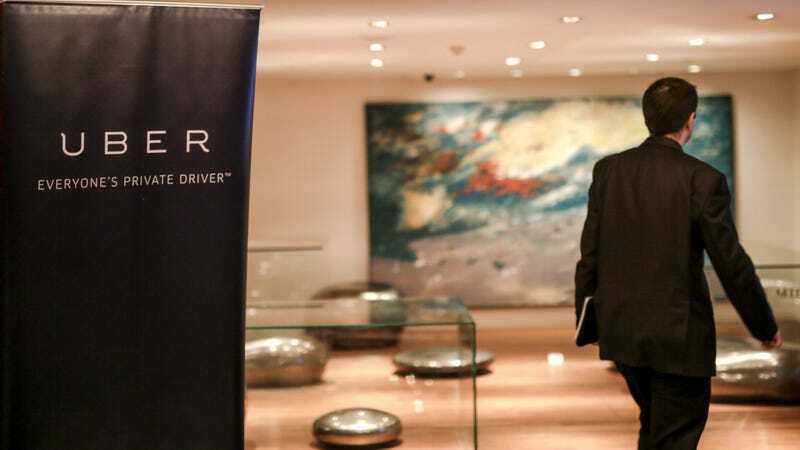 Uber has sunk a considerable amount of resources into Egypt such as a new $20 million support center and subsidized car purchases, per Reuters, and claims to have nearly 160,000 drivers and four million users there. Taxi drivers have thrown protests alleging that ride hailing companies are only able to compete by dodging the hefty fees usually applied to transport vehicles, though per Agence France-Presse, the apps are often sought out by locals who think they offer better service than the rest of the market. As Engadget notes, draft laws before the Egyptian parliament could ultimately determine Uber’s long-term fate inside the country. Uber has recently pulled out of several major markets, and in Greece suspended some service in Athens after the passage of stricter legislation governing its business model. The company has a history of ignoring or defying the law to stay in business when local authorities don’t rule their way, but there’s only so much they can do if regulators threaten to tank the whole enterprise. Last year the New York Times reported that ministers with Egypt’s military government requested access to Uber’s internal tracking software, which could help it find and punish dissidents; Uber reportedly declined, though it’s not clear what it would do were the new legislation to require it do so. Officials also reportedly offered Careem “preferential treatment” were it to share data, the Times added, though the company says it left the offer on the table.